We understand that wedding planning can seem overwhelming. There are so many decisions to make and details to consider, it is hard to know where to begin. That is where we come in. We have over 16 years of experience serving brides and grooms with anything from casual to formal weddings and vow renewals. Whether it is just the two of you alone or encircled with close family and friends, our weddings are elegant and affordable. All you need to do is to pack your clothes, attend to your marriage license and we will handle all of the details. This is your special day and our goal is to help you create a day you will never forget. 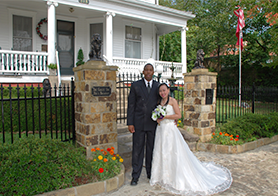 We are the leaders in hosting Bed & Breakfast weddings in Hot Springs, find out why more and more couples are turning to us. 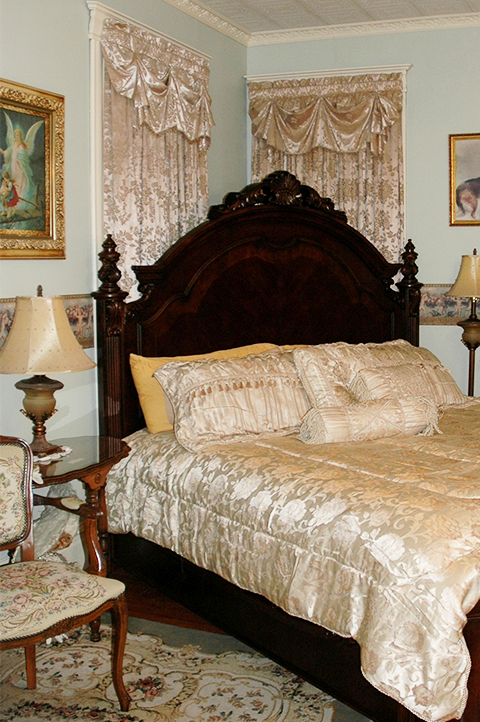 The Gables Inn Bed & Breakfast in Hot Springs, Arkansas has been awarded the title of “Most Romantic” B & B in 2011 & 2010 and “Best Breakfast Overall” in 2010 out of 8,500 B& B’s around the world. Ouachita Life; Gabled Grandeur. 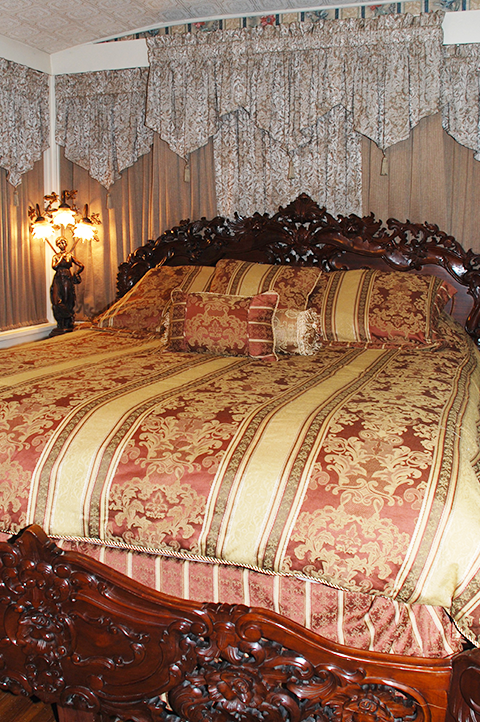 Walking inside The Gables Inn Bed & Breakfast during the Christmas holiday is like walking into the Victorian era. Ozark Life; "This charming inn, featured in the Dallas Morning News, offers many specials, including a Romantic Holiday Getaway that includes a two night stay with a full breakfast." 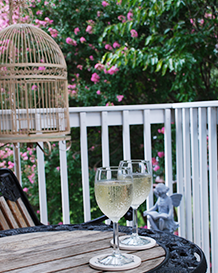 50+ Magazine; You can feel the gentle breezes while swinging or rocking on the porch or watch the birds feed in the beautiful garden. 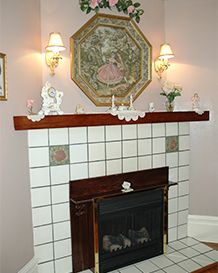 Los Angeles Times; "A 1905 Victorian with wraparound gallery and four antique-laden guest rooms. 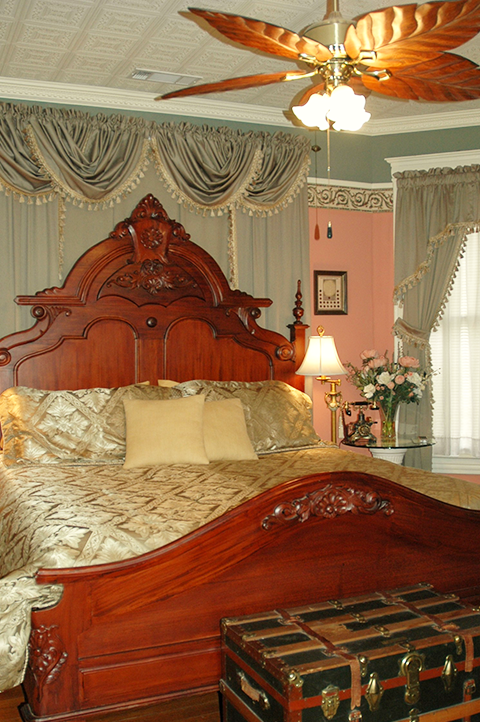 I'd love to linger in the Governor's room, with its warm tones, cozy decor and heart-shaped whirlpool for two with mirrors above." USA TODAY TRAVEL; : Bring your wedding party and guests to Hot Springs, Arkansas. The historic Gables Inn offers several wedding packages that include everything from the officiant to the wedding cake. You made our wedding day perfect! Thank you so much for a wonderful Wedding Day!! We appreciate you and everything you guys did for us, thanks a lot for everything, your hospitality was impeccable, we had wonderful time & will definitely recommend your facility to anyone for future reference. We will probably be seeing you guys again in the near future. 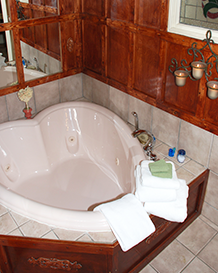 Stunning woodwork surrounds the true, two person heart shaped whirlpool tub. Book Lillian's room and imagine yourself sipping your morning coffee or tea on your private balcony. 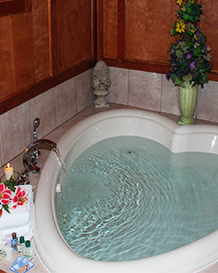 After a full day of sightseeing, relax and rejuvenate in the bedside heart shaped, whirlpool tub for two. 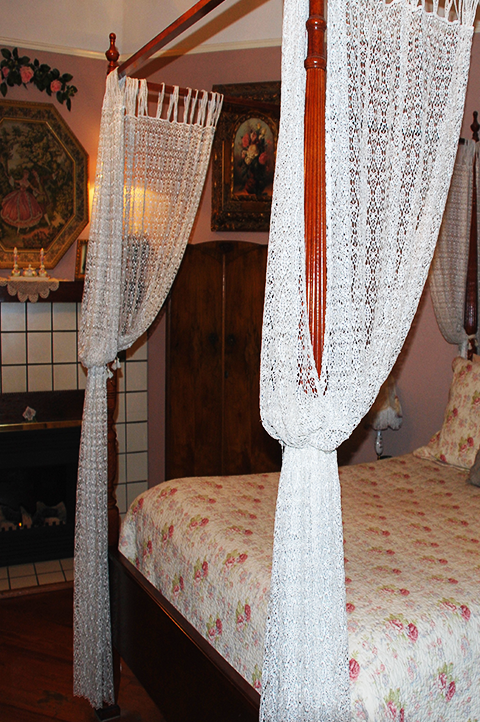 Let the charm of Sylvia's Room welcome you with a queen size four poster canopy bed.